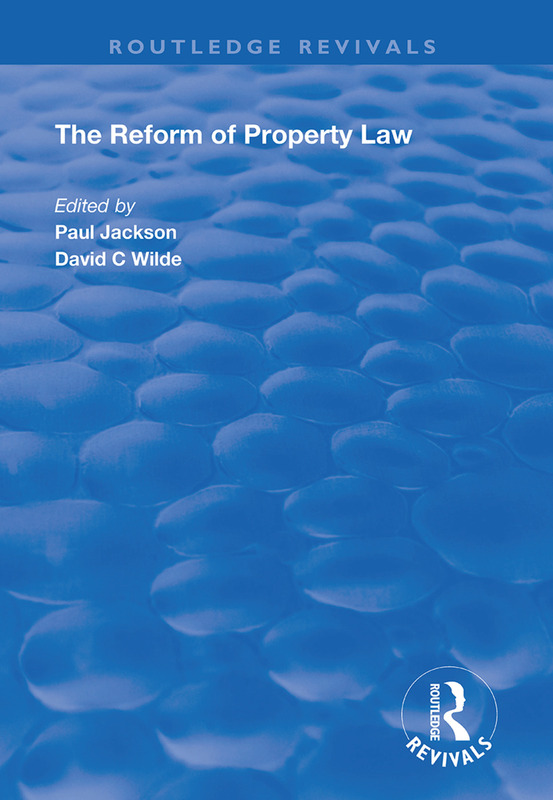 First published in 1997, this volume constitutes a collection of new papers by more than 20 United Kingdom and International experts on general and specific issues relating to the reform of all aspects of property law. Topics covered include the language of property law and the dangers of reform, the role of the Law Commission and the workings of Parliamentary procedures, registration of title to land, landlord and tenant, land pollution, mortgages, sale of goods, the Hague Convention on trusts, together with general comparative papers and papers dealing with specific issues of property law reform affecting Hong Kong, Ireland, Scotland and South Africa. The volume arises out of the successful conference 'The Reform of Property Law' hosted by the Centre for Property Law at The University of Reading in 1996. Termination of Tenancies by Tenants: A Just Cause? Land Registration: Reform at Last?